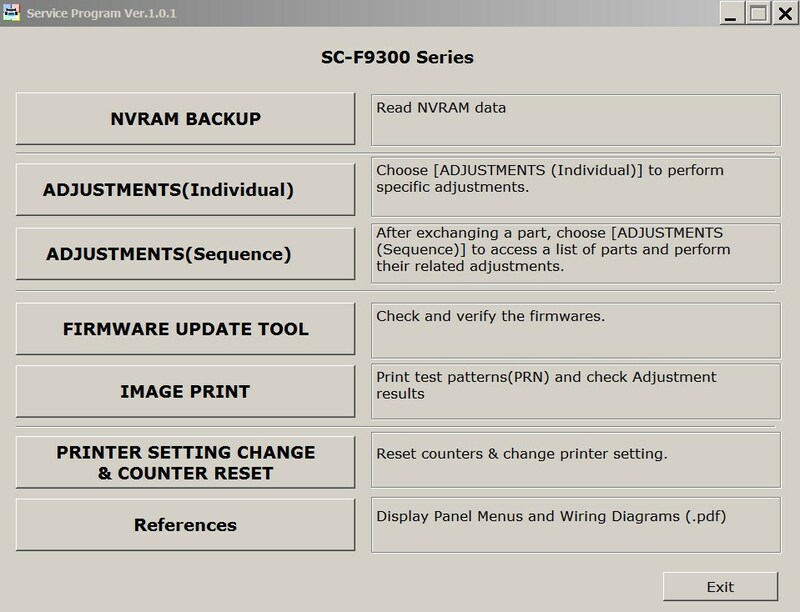 Home » Service Manual Catalog » EPSON Adjustment Programs » InkJet printers » AP_SCF9300 I have paid for Reset Key but not received yet. Epson SureColor SC-F9300 Series Service Adjustment Program New! To use this Epson SureColor SC-F9300 Adjustment Program the best way you have to read Epson SureColor SC-F9300 Service Manual first. After we accept your payment, you'll be sent email with download link. It takes few minutes to pay and download this service program! Excellent! I had an old 51 sitting around but no way to find out what was wrong. the error codes(blinks) are worth the 7bills I paid. Epson Stylus NX110 / NX115 / SX110 / SX115 / TX110 / TX111 / TX112 / TX113 / TX115 / TX117 / TX119 Service Manual is ok! Key worked as charm, almost wrote off this guy after 15k pages, but it looks like it is back to business. I have an epson artisan 800. I tried using the epson waste ink counter reset tool, but it was worthless. I used the 2manual reset utility and it worked perfect, resetting the counters to zero. It was so easy to complete. Notify me of updates to Epson SureColor SC-F9300 Series Service Adjustment Program New!